Change the Oil: Changing the oil in a vehicle is crucial to the health and longevity of the engine. Regularly changing the oil can keep a car running smoothly for much longer—not to mention it can give a car greater resale value. Change the Oil Filter: The oil filter in a vehicle should be changed every time the oil is changed. Failure to change the oil filter can have lasting negative effects on a car. That’s why a new one should be installed every time. Lubricate Chassis: No one likes a squeaky car. Lubricating chassis helps keep a car’s joints working exactly the way they should be. Check the Air Filter: Having a clean air filter can not only help the vehicle, but can also be safer for the passengers as well. Clean air filters can keep those in the car from getting sick. Air filters can help keep air cool or hot when needed. Check Breathers: Pipes on a vehicle need to breath. Sometimes the valves need to be cleaned to get rid of oil and other buildup. Mr. Clean Car Wash checks the breathers to make sure everything is functioning properly. Check PCV Valve: The PCV valve is crucial. Checking to make sure the PCV valve works properly can help you catch major problems before they occur. Check Wiper Blades: Streaks and poorly functioning wiper blades can make all the difference when it comes to getting home safely on a rainy day. Checking the blades helps to ensure the safety and security of those in the car. 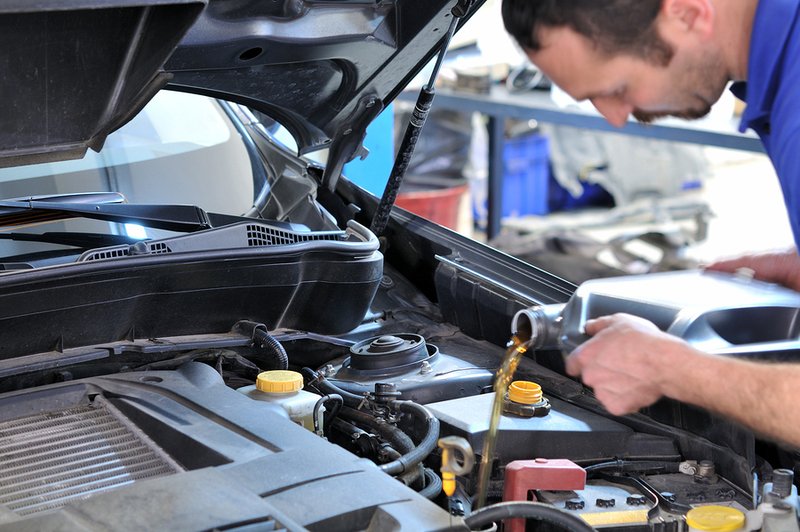 Check and Fill Coolant: Coolant helps to keep the engine from overheating. It also helps to protect the engine overall. Making sure the fluid is at the proper level helps keep the engine running smoothly. Check and Fill Transmission Fluid: Transmission fluid acts as the lubricant for all of the moving parts in the transmission. Low fluid can cause unnecessary friction. Unnecessary friction can cause costly problems. 10. Check & Fill Differential Fluid: The differential in a car helps to transfer the power of the transmission to the wheels. The fluid helps to cool the car and keep it running properly. 11. Check the Brake Fluid Level: Brake problems are dangerous and costly. Keeping the fluid filled to the right level helps keep the brakes working. This also helps keep everyone in the vehicle safe. 12. Check & Fill Steering Fluid: This fluid helps to keep steering smooth and easy. 13. Check & Fill Windshield Fluid: No one likes getting stuck with pesky streaks on their window. Let Mr. Clean Car Wash top off the windshield washer fluid so those streaks are never a problem. 14. Check Inflation of Tires: Tire pressure is key to great gas mileage, so checking on tire inflation is always a good thing. 15. Check & Fill Battery: The fluid in a car battery can evaporate overtime, so checking the fluid level can help save a car owner from a breakdown. While the term “Car Wash” may be in their title, Mr. Clean Car Wash does more than just wash cars. Mr. Clean Car Wash is a one stop shop. Check out all of Mr. Clean Car Wash’s oil change services, including their 15 point inspection.